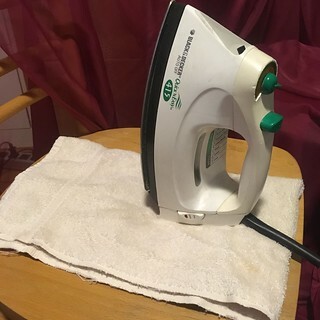 No ironing board? Use a folded towel. A towel with give just a bit of padding and protect whatever surface you’re using from the heat and steam.